End of December, Gorenje opened in the town of Šabac in Western Serbia its eleventh Gorenje showroom in Serbia. This latest showroom extends over an area of 650 square meters, offering the entire range of home products – from major appliances to kitchen furniture – in one place. Gorenje Studio showrooms are an important distribution channel in Serbia, generating approximately 17 percent of Gorenje sales in this country with the percentage rising each year. The first Gorenje Studio was opened five years ago in Valjevo, next tot the refrigerator-freezer manufacturing plant; this year, at least one more Studio is scheduled for inauguration, in the Vojvodina capital Novi Sad. According to Marko Mrzel, director of Gorenje Belgrade, a total of 18 major studios are planned to form Gorenje's own sales network, in addition to several minor units. Economic circumstances in Serbia are still harsh. Unemployment rate has reached 20 percent, further impairing the already weak purchasing power. In last year alone, the home appliance market saw a 10-percent decline. 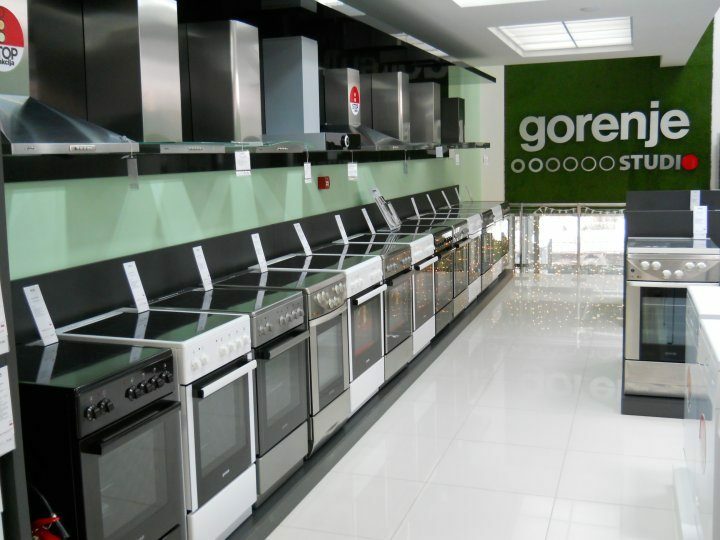 Despite the adverse conditions, Gorenje Belgrade has managed to up the sales in terms of value by good 1.5 percent compared to the year before; this year, 3-percent increase in sales revenues is planned relative to the year 2010.